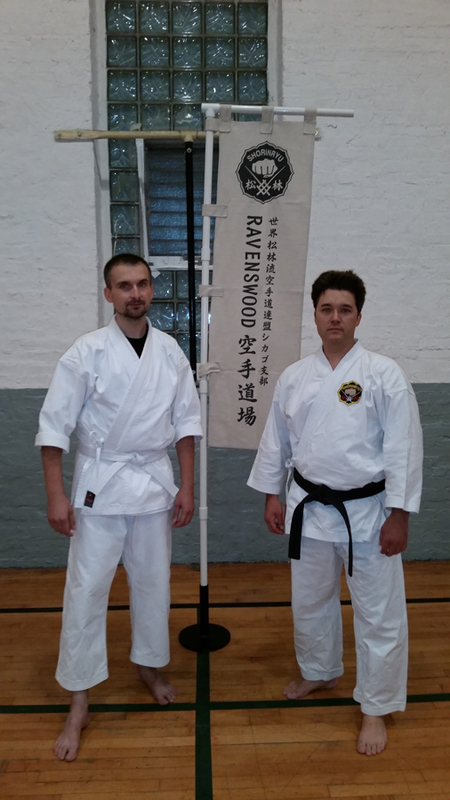 J-san, a Shotokan brown belt, sent in an inquiry a couple weeks back and came through the dojo yesterday to play with us and see how Okinawan Shorin-ryu differs from his practice of Shotokan karatedo. It was a pleasant exchange as we traded our interpretations of kihon, kata, and applications based upon principles fundamental to our respective styles. As we often say . . . regardless of system or style, good karate is good karate, and we do not feel there is any one method better than another. We are grateful to have the opportunity to experience other perspectives, and J-san represented himself, his sensei, and his dojo well. Well-noted is that although an experienced Shotokan brown belt, he walked into our dojo wearing the white belt of a beginner, emptying his cup and opening his mind. From the beginning J-san was up front about continuing with Shotokan; he really just wanted the opportunity to see what we do and how it might relate to what he does. In the same manner, our position was never to “convert” him to our style, but to share some core principles and compare notes. All in all it was a fun evening of goodwill exchange. Thanks, J-san!